Chances are that there are a few things you flush down your toilet that you shouldn’t. Can you flush baby wipes? What about tampons? Here’s what to avoid. Can you flush baby wipes down the toilet if you have a septic system? There is a simple answer to this question: No! Baby wipes could potentially get stuck in your plumbing pipes and cause clogs. And even if they don’t, they’ll end up sitting in your septic tank causing it to fill up much quicker than it really should. Baby wipes aren’t the only thing that you should keep away from your toilets and septic tank, either. Here are 5 other things you should never flush into your home’s septic system. 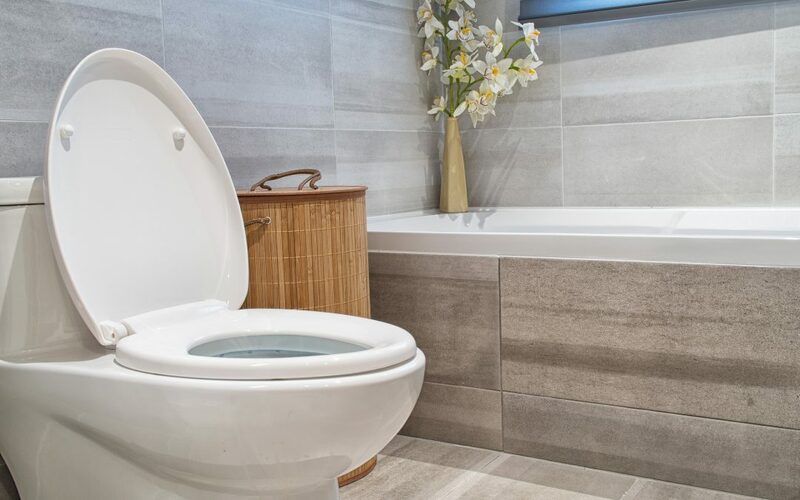 To get rid of any grease, oil, or fat from your home, you might be tempted to simply flush it down the toilet. But if you decide to do this, it might hang around for longer than expected. Your septic tank isn’t going to be able to break the grease, oil, and fat down. That could potentially lead to the grease, oil, and fat blocking the holes in your septic system’s pipes and preventing it from draining wastewater. You’re better off disposing of grease, oil, and fat properly and keeping it far from your septic system. Cotton swabs are another item that people tend to try and flush down the toilet for whatever reason. Some mistakenly believe that the cotton portion of it is biodegradable. This isn’t true, though. Cotton swabs will actually sit in your septic system until they’re cleaned out rather than disintegrating. They should always be placed in the garbage can as opposed to the toilet. Regardless of whether a toilet is hooked up to a septic system or not, tampons and other feminine hygiene products should never be flushed down it. These products can do damage to plumbing pipes and cause major clogs. They can also sit inside of your septic tank if they make it there and take up entirely too much room in it. You’re likely going to need to have your septic tank pumped sooner than later if you don’t stop flushing these products. Many people are grossed out by the idea of throwing kitty litter (and everything that comes along with it!) into the garbage. But it’s the only safe way to dispose of it. Kitty litter often clumps up when it gets wet, which is why it’s not advisable to flush it down the toilet. It can clog up your plumbing and cause all kinds of issues with your septic system if you flush too much of it. We know, we know. You flush toilet paper, so why can’t you flush other kinds of paper, too? You can…but it’ll likely cost you. Paper towels don’t break down in the same way that toilet paper does. It can lead to septic system repairs. In fact, you should even consider investing in special septic safe toilet paper if you have a septic tank. It’ll help you steer clear of any problems with your septic system. Can You Flush Baby Wipes? Don’t Even Think About It! Now that you know the answer to the question, “Can you flush baby wipes?”, you should stop flushing them down the toilet. You should stop flushing the other items mentioned here, too. It’ll extend the life of your septic system and help you avoid having to do any major repairs to your septic tank. Are you experiencing problems with your septic tank? Contact us today to have septic system maintenance, repairs, and replacement done.